Send, track, and archive board resolutions and documents on the same platform where you manage your equity and 409A valuations. Instead of sharing option grant data in spreadsheets, manage board approvals on Carta. Securely share and store board decks and documents on our encrypted platform. Use saved templates to send 409A valuations and other documents for speedy board approval. With our board resolutions tool, you can send resolutions directly from Carta. Customize templates for resolution types, drop in equity information already on Carta, and track responses. Resolutions are approved and stored on Carta for easy access later. 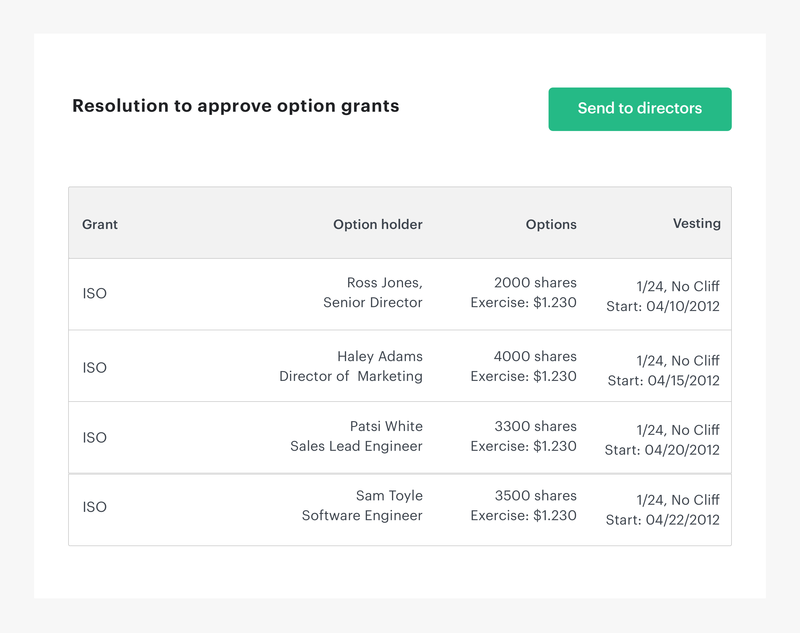 With all of your option grants, 409A valuations, executive hires, board minutes, and custom resolutions shared, signed, stored, and encrypted in Carta, it’s much easier to find historical documents. 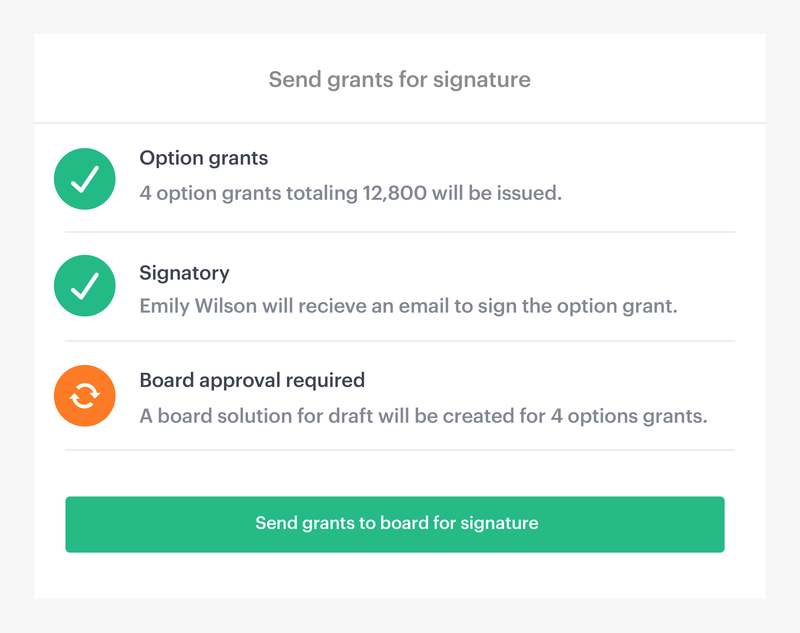 Draft and send option grants for approval in the same workflow. When option grants get approved and issued, your cap table will automatically reflect your changes. There’s no need to wait for board meetings to get option grants approved. If you’re about to close a round, it’s important to issue employee options at the promised strike price. With Carta, this approval process is simple to do every time you grant options. With both our Board Resolutions and Meeting Management tools, your board has a single source of truth for resolutions, agendas, minutes. Build meeting agendas, track attendance, and share documents for open or closed sessions to custom groups ahead of time. With clear, shared agendas, meetings stay on track. Board approvals are included with any Carta plan. Learn more about our plans and pricing.